Planning a resort wedding…the most exciting and special time of your life. Breezy Point Resort epitomizes the best of the present, and emanates a rich and storied past. Our Sales Manager’s are available to assist you in planning a most memorable event by custom designing a wedding ceremony and reception to fit your individual tastes. We want you to enjoy your day and allow us to do the work. Ask your sales manager about the Groom’s Dinner too! 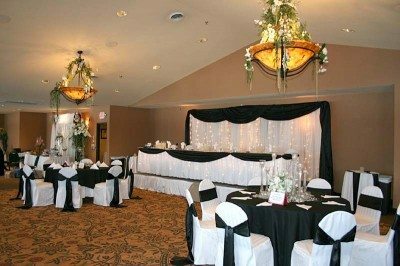 Visit our Wedding Ceremonies page for information about the various wedding ceremony locations at Breezy Point Resort. We do not allow outside caterers anywhere on Resort property. Ten days before the function, we require a guaranteed number of guests and full prepayment. We prepare only for what we are guaranteed, and may offer an alternative choice if the numbers exceed the guarantee. All food prices are subject to a 20% service charge and applicable sales tax. The service charge is taxed. Breezy Point Resort does not allow any liquor, beer or wine to be brought in or opened in any of the banquet facilities. Breezy Point Resort is the only licensee authorized to sell or service liquor, beer or wine. Our reception rooms come with a food purchase minimum, if the minimum is not met, a room rental charge applies. At the time a date is set and menu chosen, we then proceed with a catering contract. We would then request a 50% deposit on the estimated cost of the reception. Prepayment is required ten days before the function. Banquet rooms will be set with round tables of eight or ten depending on the size of the group. We will place a head table at the front of the room on risers, usually for the Bridal party, as well as tables located in front of the Bridal party reserved for the family members if requested. We will set up and skirt both a cake table and a gift table if requested. You may decorate the room as you choose. No table confetti can be used. 10-inch mirror tiles and cut glass candles are available at no additional charge. Linen Choices are: Hunter Green, Rust, and White. Do NOT leave valuables in the room overnight. Please make arrangements to have gifts removed. Breezy Point Resort is NOT responsible for lost or stolen articles. Transform your reception hall. $2.50 rental fee, per chair. 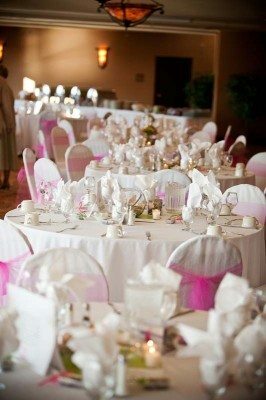 Chair covers are included in the $1000.00 room rental fee in the Lakeside Ballroom. We will have a cake table ready for your baker if you wish. We will need to know what time your cake will be delivered, and any special instructions from the bakery on serving. Please be very specific with your baker on how you want your cake set up. 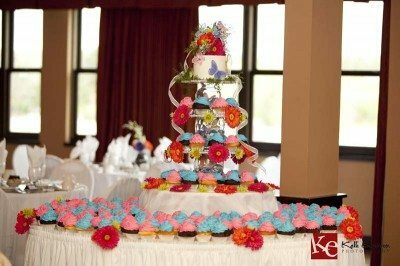 Breezy Point Resort will not be responsible for decorating or putting cakes together, however our professional staff will cut and serve your cake at no additional charge. Please assign someone to remove and secure your cake top and misc. parts to be returned to the baker AS SOON AS IT IS CUT. If you are planning on a dance during your reception, please notify your planner. We will need to know the type of entertainment (live band or DJ), what hours the entertainment will run, the name of the company or person who will be entertaining, when they will be arriving to set up their equipment, and any special requests they may have. Make sure the band or D.J. are set up at least two hours before the reception. They are responsible for bringing their own sound and light equipment and for tearing down that evening. Be sure they schedule their set-up to end prior to the arrival of your guests. All large banquet rooms have permanent dance floors. No fog machines allowed. Reservations may be made by individuals online with group number or through our group reservations department on a first come, first serve basis. Breezy Point Resort will hold sleeping rooms for your guests to reserve, releasing them 60 days prior to the Wedding. 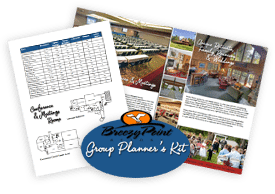 We will be more than happy to provide you with brochures for your guests. Breezy Point Resort does require a two-night minimum for June – September dates. Please refer to the Lodging section for rates and types of accommodations. Get more information about our Special Event Rental Fees in our downloadable PDF file.